Flashback! sent riders through its 6 inversions one last time on September 3rd, 2012. Soon after, the ride was carefully dismantled and moved to the state of Missouri. On June 8th, 2013, less than a year after its final cycle at Six Flags Over Texas, the roller coaster reopened at Six Flags St. Louis. The Boomerang roller coaster model is actually quite popular around the world. 52 of these same exact models have been installed! 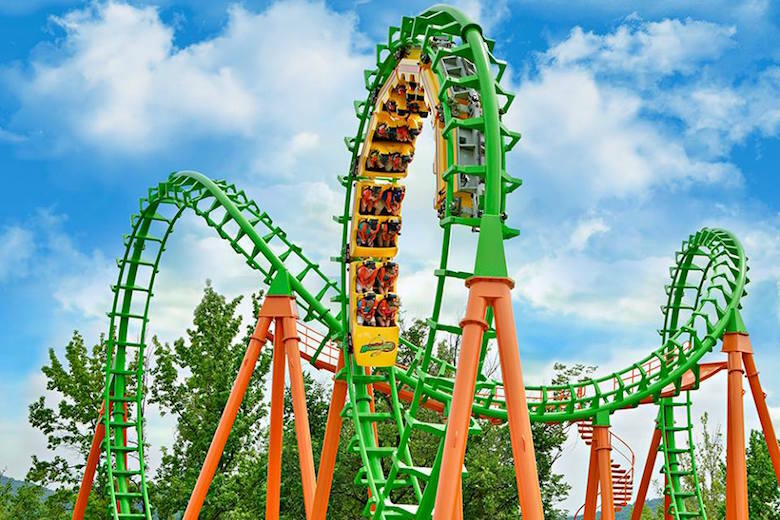 One of these roller coasters is even located in the same state at Six Flags Fiesta Texas, though their model was constructed in 1999. Five models are still operating at Six Flags parks across the country as of 2018. Flashback! receives a new paint job: coral red track and teal supports. Flashback! receives a train from the Vampire roller coaster at Kentucky Kingdom.